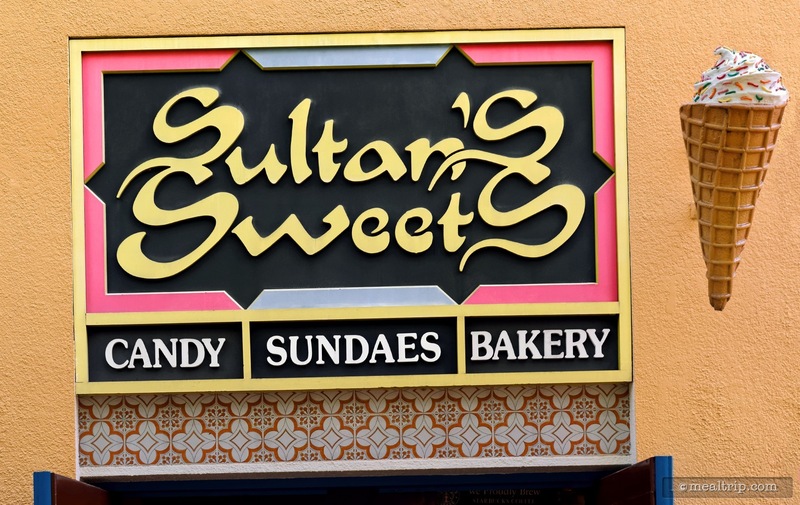 The Sultan's Sweets listing is a Counter Service (quick service) dining location at Busch Gardens Tampa featuring Confectionery cuisine. There are 5 photos in the Mealtrip photo gallery for this location and dining period. The Sultan's Sweets listing currently has a score of out of 100. 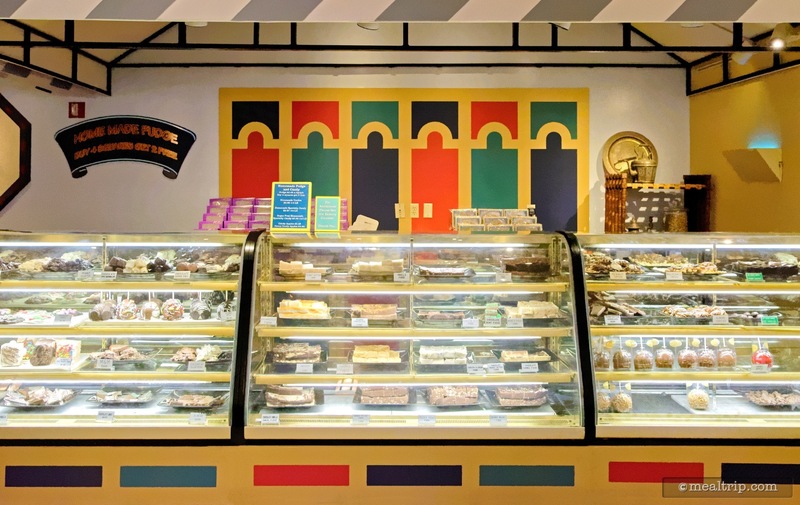 Click here to read all of the reviews for this location, or log in to Mealtrip.com to add your own review for Sultan's Sweets. 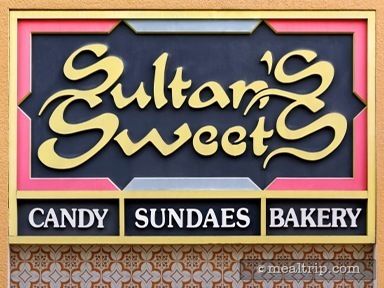 There are several Sultan's Sweets signs around the building. This one features a giant ice cream cone on one side. 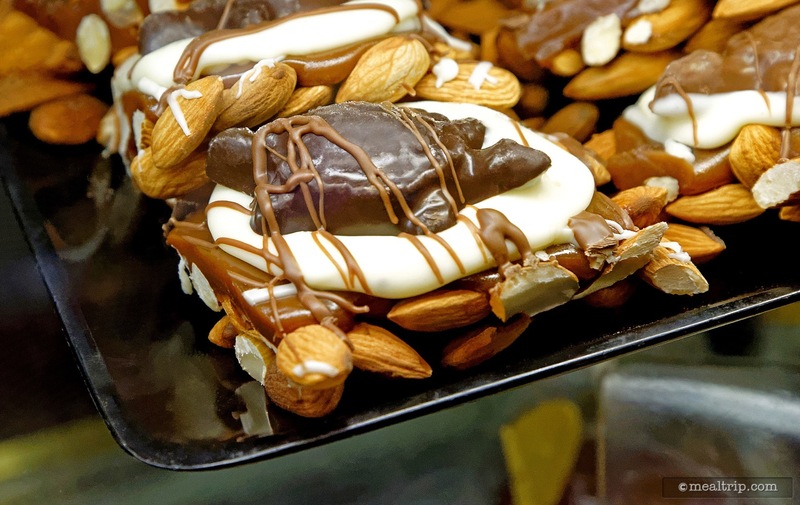 A chocolate turtle is one of the hand-made confections at Sultan's Sweets. 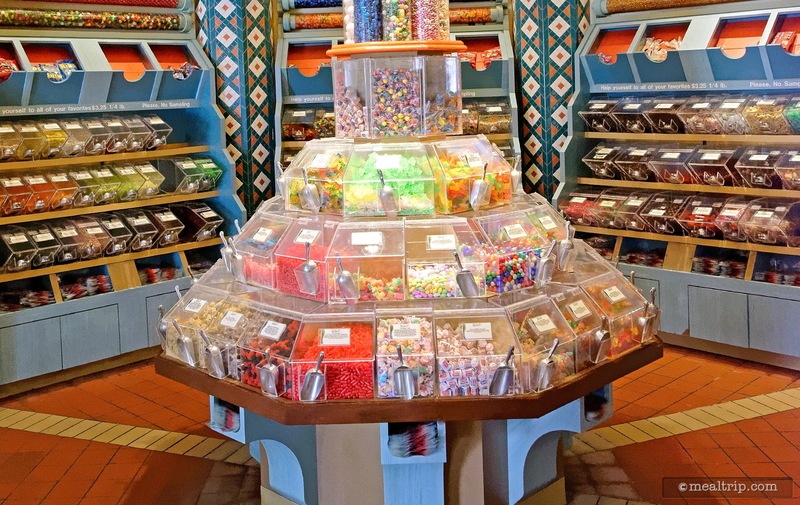 There's a traditional old-time candy store display in the middle of Sultan's Sweets where you can scoop out candy into bags. There are several counters like the one pictured here, displaying baked goods, confections, and dipped candy apples. 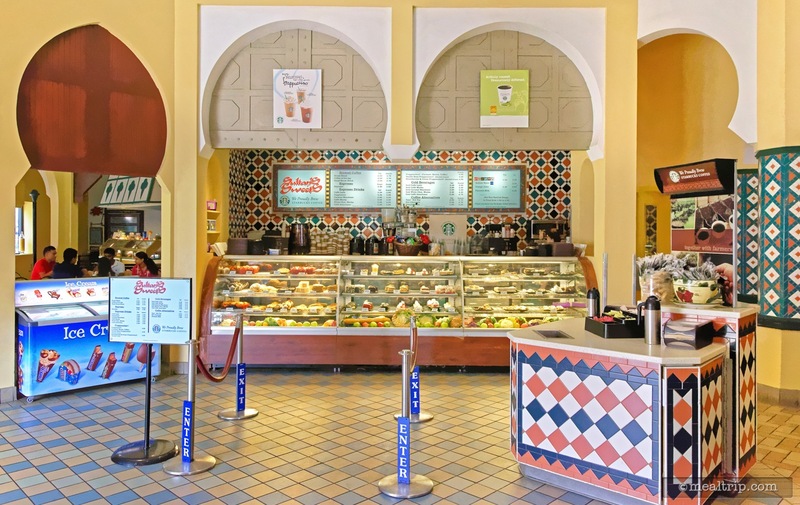 Sultan's Sweets also serves fresh brewed Starbucks® Coffee.